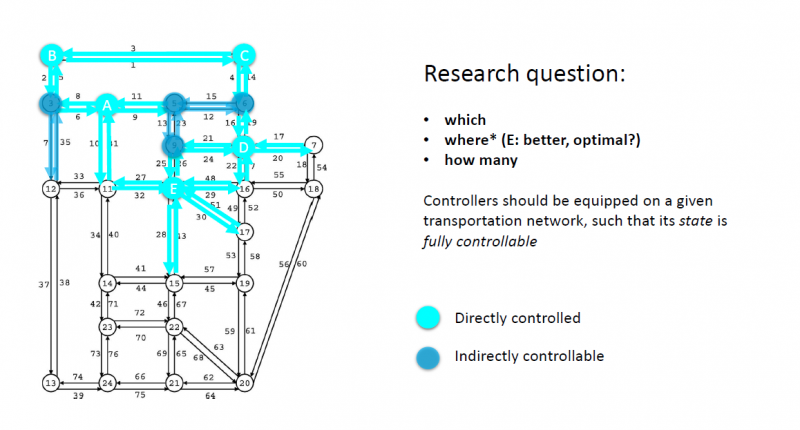 Congestion in transportation networks is reaching unprecedented levels worldwide, with increasing negative effects on economy, society and environment. 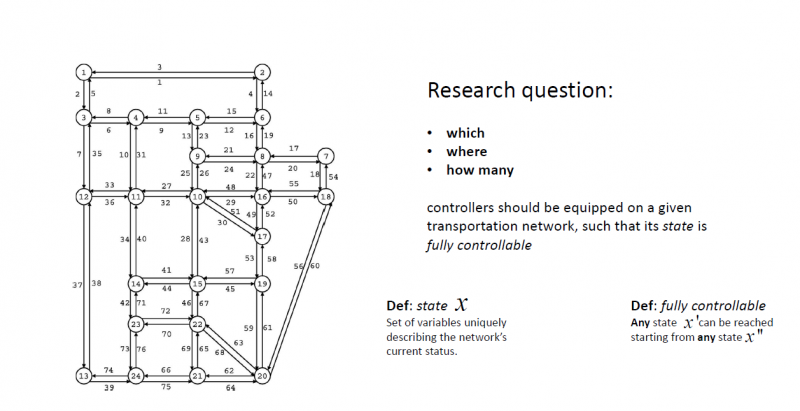 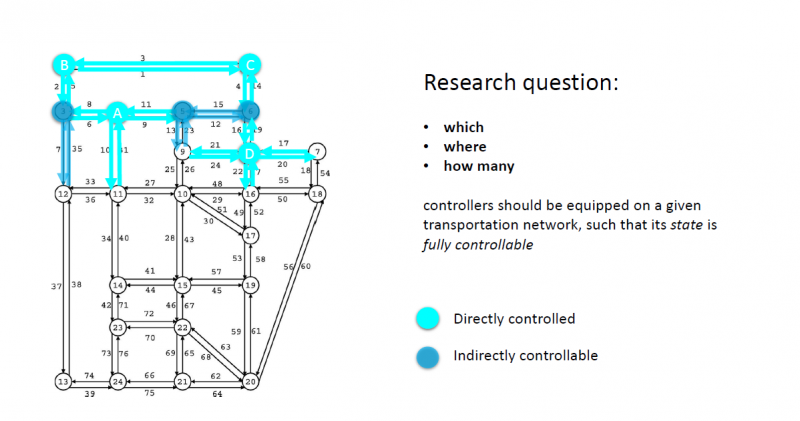 Network-wide traffic control strategies have been developed by researchers in order to address this problem, but a key concept has been so far neglected: how the location and configuration of controllers influences the maximum reachable level of throughput. 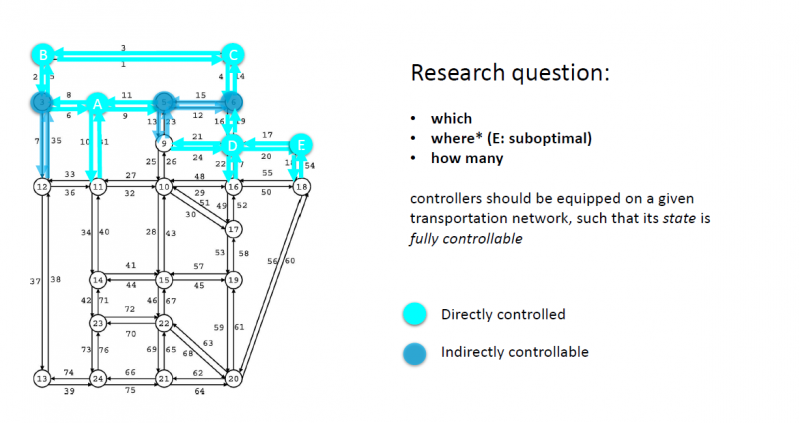 In this project we investigate this aspect by developing a framework encompassing transportation, control theory and optimization. 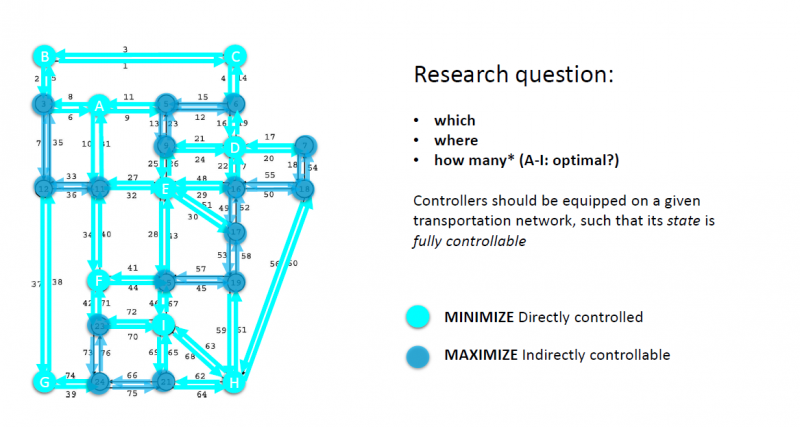 We introduce innovation by extending the control theoretical concept of controllability to transportation.